Researchers from the University of Washington are in the midst of a study using the Seeing Stars® intervention to better understand the underlying mechanisms of dyslexia. Typical interventions for dyslexics involve strategies to help struggling readers compensate. A recent study by the McGovern Institute for Brain Research and Cognitive Sciences at the Massachusetts Institute of Technology (MIT) utilized the Seeing Stars® program to test the efficacy of reading intervention with young children who have reading disabilities and difficulties. One year into implementing an Early Literacy Grant, Canon City School District in Colorado is seeing significant growth for some of its lowest performing students. More importantly, by targeting students in Kindergarten through 3rd grade, they are closing the achievement gap early on. Lindamood-Bell leaders are wrapping up a busy summer and gearing up to take part in several conferences, domestically and abroad, this fall. Click for a list of highlighted upcoming conferences. After attending introductory workshops this past spring, teachers in Jamaica are now engaged in language and literacy instruction. Educators trained in the Seeing Stars (for Reading and Spelling) and Visualizing and Verbalizing programs (for Language Comprehension and Thinking) are putting their new skills to use at an onsite summer reading clinic for students with special needs. 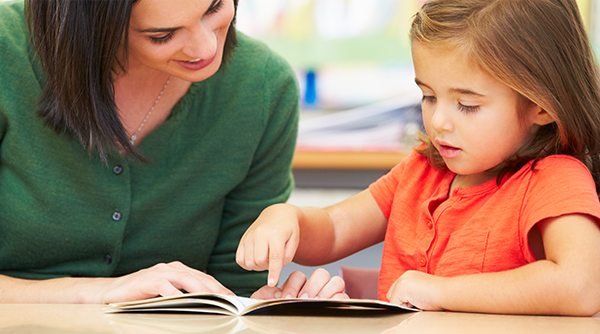 The complex skill of reading requires the integration of auditory, visual, and language skills. Word recognition (orthographic processing and instant recognition of sight words) is a necessary component in the cascade of sub-skills needed for global reading. This month, teachers in Jamaica were introduced to Lindamood-Bell's™ Visualizing and Verbalizing (V/V) and Seeing Stars programs. This professional development opportunity was facilitated by the Sandals Foundation ('the Sandals Foundation') and funded by the CHASE (Culture, Health, Arts, Sports, and Education) Fund in an effort to increase literacy and math competency for Jamaican students with special learning needs. The Imagine That! Stories are a great supplement to the Visualizing and Verbalizing® program. They are also used with Seeing Stars® and LiPS® students to develop fluency and comprehension. 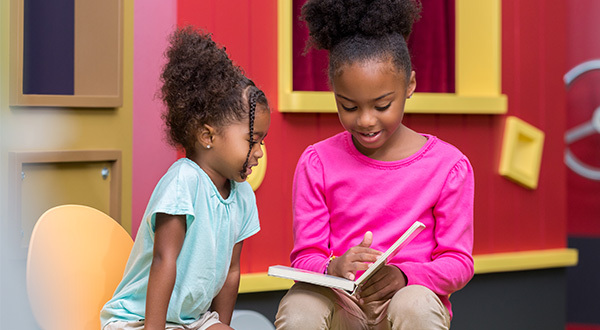 These high-interest and engaging stories include graded reading levels to develop the imagery-language connection for listening and reading comprehension. Here are some helpful hints to improve comprehension with the Imagine That! Stories. Through an Early Literacy Grant, Cañon City Schools in Colorado trained teachers in Seeing Stars and V/V to improve reading and comprehension skills. Results after only one semester show that students are progressing faster than expected. Lucky Us! to have Cañon City Schools as a partner in our mission to make a difference for ALL students. Click here to read the full article about the program. This week, a five-part radio and blog post series titled "Unlocking Dyslexia" premiered on National Public Radio (NPR). The series will span the next two weeks and will spotlight new research and insights on dyslexia. Are You Developing the Skills and Habits Students Need For Comprehension, Critical Thinking, and Success With Rigorous Standards? The Common Core State Standards, as well as independent state standards, significantly raise the bar for all students regarding the demands of literacy and critical thinking. Teachers are expected to cover more complex material, more in depth, and with a focus on deep understanding and critical thinking. Students must be able to cite evidence from text to form opinions and arguments, both in speaking and writing. With an emphasis on informational text and academic vocabulary, most standards demand an interdisciplinary approach to literacy instruction. Use language to directly and explicitly stimulate the sensory input of symbol imagery. For example, the language "What letters do you picture for the word 'thought'?" stimulates imagery, whereas the language, "How do you spell 'thought'?" does not. I once heard former Assistant Secretary of Education Dr. Robert Pasternack talk about how special education services had become a trap door for students. Rather than a revolving door, where they could come in, get remediated, and exit, the new norm seemed to be a life sentence of interventions that didn't work. I thought about this recently when one of our students exited special education after receiving the precise help he desperately needed. Through a literacy grant from the Colorado Department of Education, our district was able to partner with Lindamood-Bell to bring in programs that remediate reading difficulties and disabilities. I'm proud to say that we can truly offer a path for students to get out of special education and succeed academically. Tip 1: RELEVANT QUESTIONING IS THE ESSENCE OF GOOD V/V. The quality of your questioning is the difference between concept imagery developing quickly and accurately and concept imagery remaining weak and unstable. Congratulations! You have just completed a Seeing Stars®, Visualizing and Verbalizing®, or On Cloud Nine® Math Workshop, or have recently begun using any one of our research-validated programs. Now you're ready to start helping students who have struggled for too long. Many schools use Lindamood-Bell's programs in their Response to Intervention (RtI) process due to their effectiveness with at-risk learners and students with disabilities. Let's take a look at the secrets to our RtI success! The Council of Administrators of Special Education (CASE) has officially re-endorsed Gander Publishing's Visualizing and Verbalizing for Language Comprehension and Thinking® and Seeing Stars® programs. CASE is an international professional education organization affiliated with the Council for Exceptional Children (CEC), whose members are dedicated to the enhancement of the worth, dignity, and uniqueness of each individual in society. Thirty years ago, Nanci Bell and Pat Lindamood acted on their vision to help each individual learn to his or her potential. Flash forward to today, and those efforts are reaching children on a global level. This month, children in Uganda were introduced to the Lindamood Phoneme Sequencing® Program (LiPS®) for Reading, Spelling, and Speech, courtesy of special education teacher Susan Koepplinger. With the help of four robots, instructors at Tullahoma City Schools and Lindamood-Bell Learning Processes have teamed up to provide another innovative way to educate students. Funded by a discretionary grant totaling $99,750, students who struggle with reading and language arts will receive supplemental education through March of 2016. What do you picture for "See ya"? A teacher stood at her 4th-grade classroom door to say goodbye to her students. Maribel looked at her in bewilderment and said, "Silla?" The teacher nodded and again said, "See ya. See ya tomorrow." Maribel nodded her head and left the classroom. The next day she brought several pictures of chairs cut out of magazines, and handed them to her teacher. "What are these for?" her teacher asked.
" Silla, you tell me silla." "An ice age is a period when for a long time the temperature of Earth's climate is very low. This leads to an expansion of the continental ice sheets, polar ice sheets and mountain glaciers" (Simple English Wikipedia, 2015). Download Free Guide: Sensory-Cognitive Instruction and the Common Core. Center Schools Achieve Full Accreditation Status. In 2010, Haskin Elementary School in Center, Colorado was in the lowest 5 percent of all schools in the state in reading achievement. By 2013, achievement scores surpassed the state average. Watch the incredible transformation of this high poverty, high English learner school. Dunseith Elementary School students and staff are trying something no other school in North Dakota has done before. Their Pre-K through 6th grade classrooms now have a fully functioning robot coach as part of the Lindamood-Bell® literary solutions program.